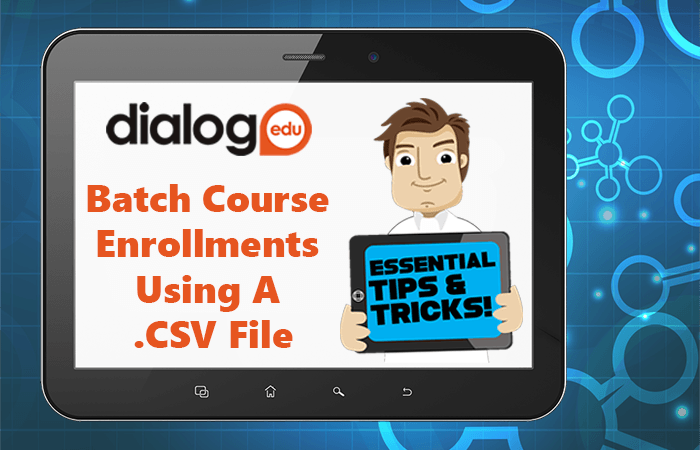 Remember, this tutorial is going to cover enrolling learners in a batch upload into their respective courses at one time. 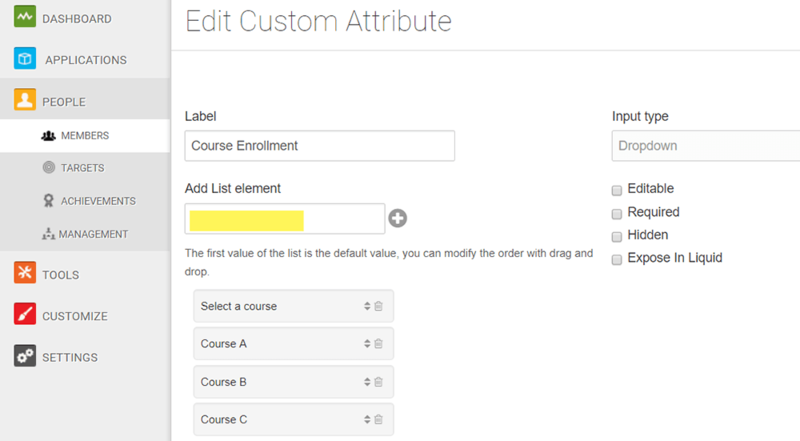 Since this tutorial is strictly applicable to institutions that offer 1 single course per term, we will only need one Custom Attribute (“Course Enrollment”) that will contain all course titles as options in the form of a drop-down menu. It is important to create a course target for each course selection, so that you have a way of consolidating all learners you would expect to be taking a certain course, into the respective course target group. 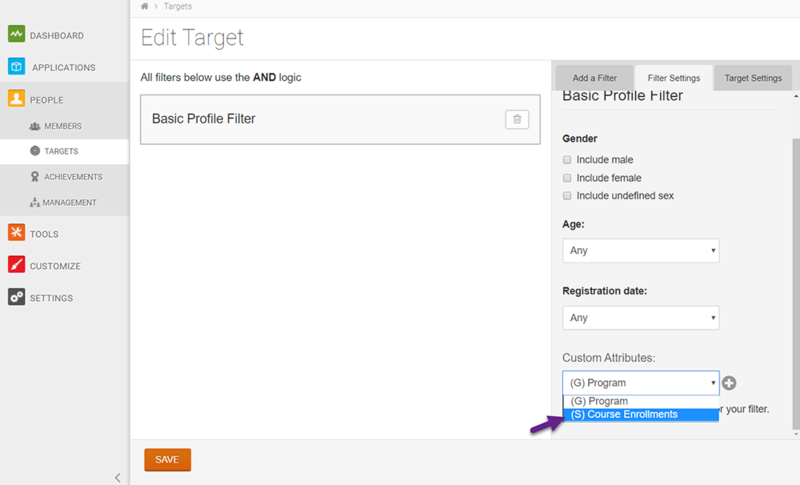 Later, in Step 3, you will learn how the target group becomes associated with its corresponding course. 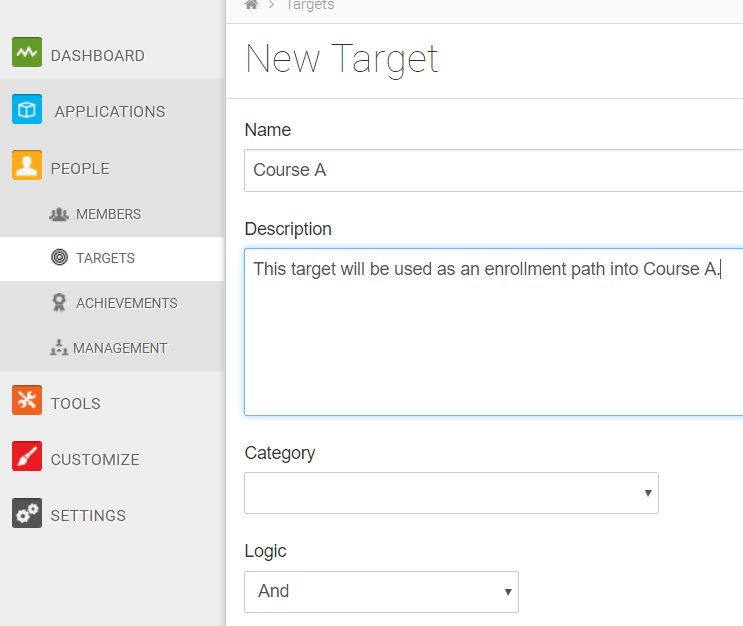 Enabling the Auto Enroll Option inside of each course is how the course target will become associated with the course. 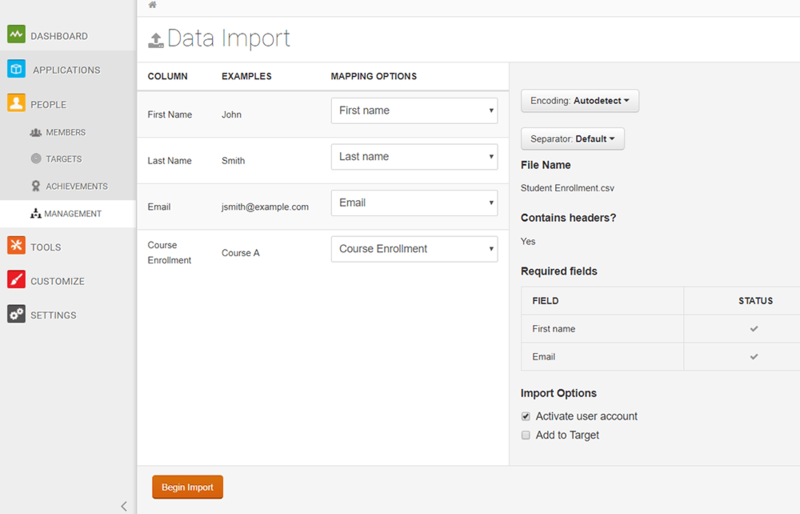 This will allow for the enrollment path to link from the course selection made in the .CSV file into the respective course for each learner. 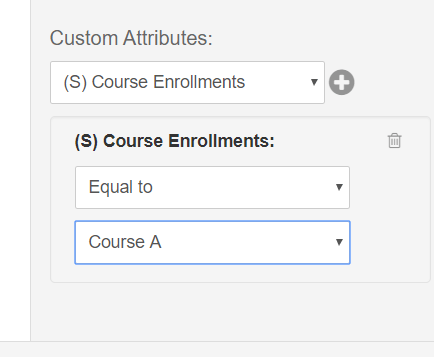 Note: You will enable the “Auto Enroll Option” in every course offered in the term. Steps 4 and 5 will complete the process. Your .CSV file must include the following column headers. 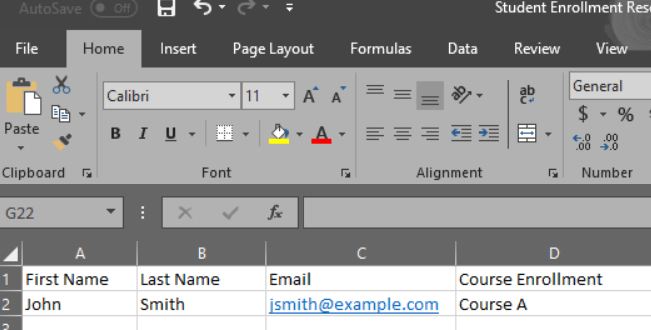 Notice that the column header in column D matches the exact title of your Custom Attribute. 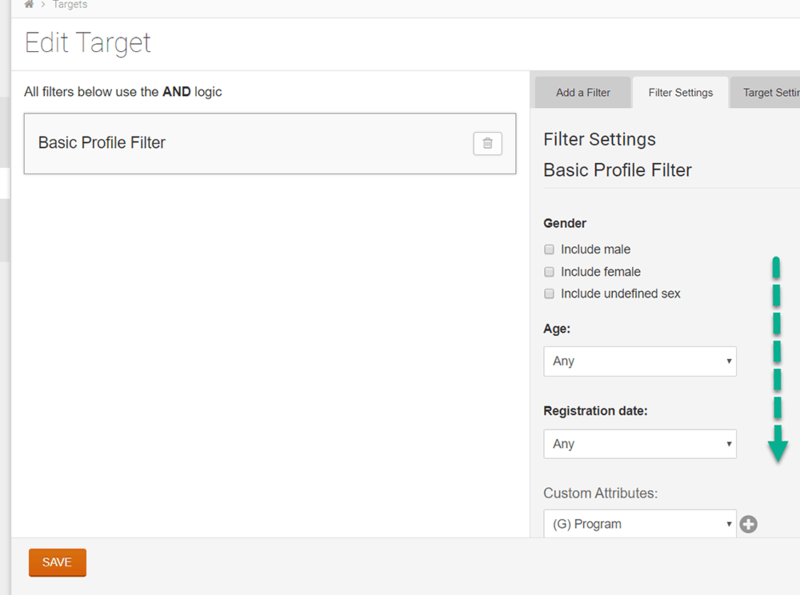 On the right-hand panel, under Import Options, be sure that Activate user account remains checked (checked by default) and leave the Add to Target unchecked. Once you have uploaded your file, you can go back to Applications > Courses to review your new enrollments.